Is Tommy The Chimp About To Be Ruled A “Person”? 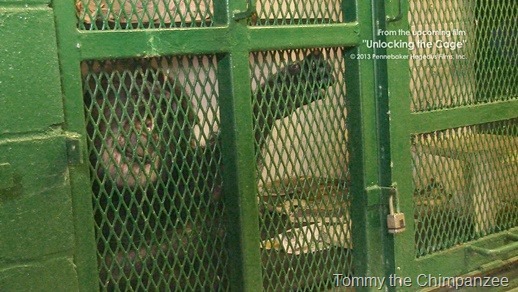 Now is a good time to explain what the decision of the Appellate Department Court will mean for Tommy and for the NhRP’s long-term strategic litigation campaign to break through the legal wall that divides human “persons”, who have the capacity for legal rights, from nonhuman animal “things”, who don’t. The decision will mean everything for Tommy. Will he be transferred to Save the Chimps in South Florida, there to end his days in the company of a two dozen other chimpanzees, all living on an a semi-tropical island? Or must he live out a nasty, short, and brutish life in solitary confinement? The appellate decision will be not be a simple matter of “We won” or “We lost.” The court could order any number of things. And whatever it orders may be subject to review by New York State’s highest court, the Court of Appeals. It might declare that Tommy is a “person” within the meaning of New York’s habeas corpus law, issue the writ of habeas corpus, and return the case to the trial court. It might affirm the trial court’s ruling that Tommy is not a “person” and never could be, not even if he argued the appeals himself. Then we will have several routes to the Court of Appeals. We have the right of further review by the Court of Appeals if two Appellate Department judges dissented or if the New York Constitution was invoked. We can ask the Appellate Department for permission to apply to the Court of Appeals for further review. And we can petition the Court of Appeals directly for permission to appeal. I have nowhere exhausted the possibilities. This is a big deal. If Wise can somehow get this court or another appeals court to agree that Tommy deserves certain basic legal rights, he will have cracked through centuries of legal tradition that has treated animals as things, not sentient beings. And that tradition has resulted in untold animal suffering. So stay tuned. If Wise loses this round, he is ready to appeal some more. But if he wins animal rights will take a giant leap forward. It is a fascinating legal and human, I mean non-human person, drama. Might someone buy Tony his relative liberty? Wise is very wise. He’s in the process of carving out a path for person-hood of non-human sentient, living beings, beginning with those that humans consider of highest intelligence and working his way down the perceived intelligence later. Times are changing and the law is changing with the times. Humans are starting to make the connection of the sentience of other animal species. They are becoming highly active and prolific in lending voice. This is making a profound difference.